Most of us realize that we are spiritual beings, needing spiritual nourishment. But in this “secular feeling” world, it is easy to think a deeper spiritual consciousness will just happen. So we sometimes forget to regularly “tune in spiritually” to all the abilities and emotional peace that can come from our spiritual connection. All month on The Celestine Vision Community Radio Show, we are going to be discussing ways to download the great treasures of peace and “knowing” from our Divine link within. Obviously, there are many ways of connecting, ranging from prayer and meditation to finding love and beauty in natural environments. 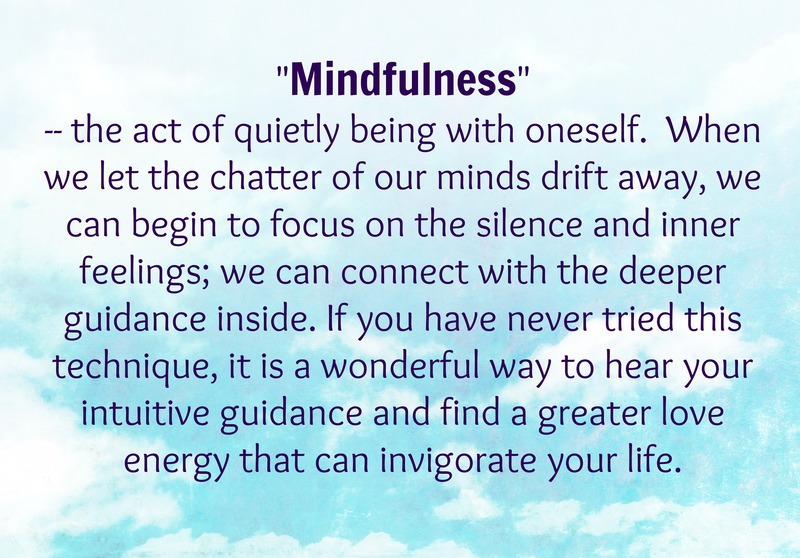 For now, we will focus on connecting with “Mindfulness” — the act of quietly being with oneself. 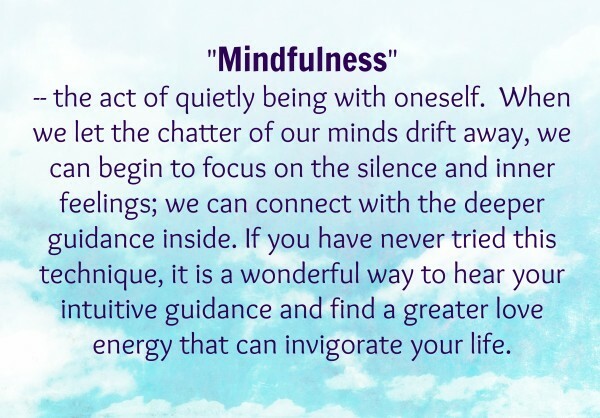 When we let the chatter of our minds drift away, we can begin to focus on the silence and our inner feelings; we can connect with the deeper guidance inside. If you have never tried this technique, it is a wonderful way to hear your intuitive guidance and find a greater love energy that can invigorate your life. While “Tuning In” to our greater Spiritual Connection, we must use Mindfulness with a prayerful affirmation. This allows us to discover and maintain a sense of the Divine Presence within us. We will continue to discuss the emotion of this connection, seeking to feel oneness, love, completeness, and a centeredness of being — expanding our sense of self. In the coming week, we will discuss another aspect of our Divine Connection, using Mindfulness to discover our “Guiding INTUITION.” Intuition is a kind of thought that comes to us at various moments. It is an idea or impression or gut feeling that arises within us during the course of our daily lives. This month, we are learning how to recognize our Intuition, distinguish it from our ordinary calculative thoughts and use this guidance to enhance our lives. 1. If you were to go to a special place where you have always felt more peaceful and connected, where would it be? 2. If there’s one problem that is bugging you and that you want out of your head, what would that problem be? 3. When would be your best time to “Tune in” each day? 4. Think about your day to day thoughts. Do some thoughts just pop into your mind, but don’t seem directly related to what you are doing? 5. Have you ever thought of an old friend for no reason, then when you called this person, had him/her tell you that they were just thinking about you? 6. 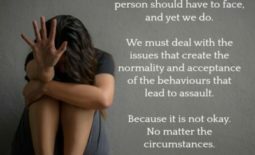 Have you been stumped about a decision in your life, and suddenly felt an inner urge or thought that convinced you a particular course of action was best?